Stick that signature Glossier G on something (anything!) and I’ll probably buy it. Glossier never disappoints and one of their newest launches, quite possibly my favourite, is no exception. 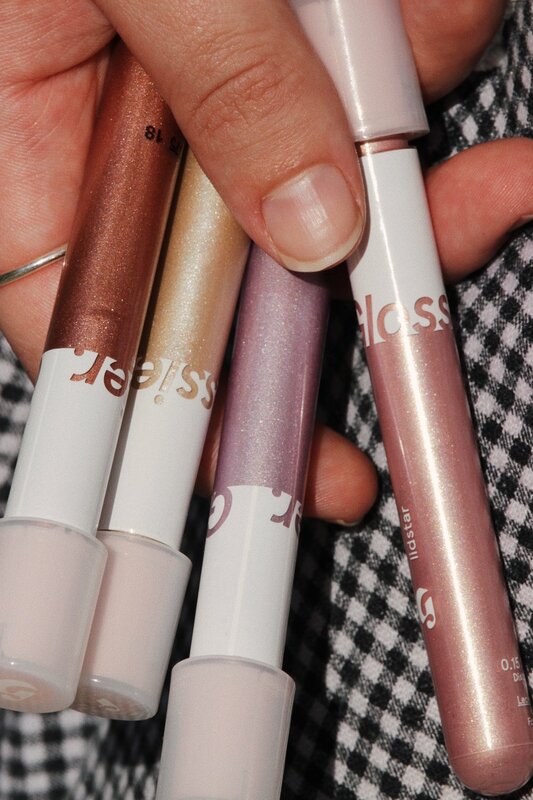 Lidstar by Glossier is a liquid, long wearing, twinkling wash of colour for the eyes. More of an eye glow than an eye shadow. For the longest time, I have been on the lookout for a product that gives the lid a glow without creasing like a cream or settling like a powder (queue Glossier Lidstar). Lidstars work for the simplest to most complex of makeup routines. Wear them on their own, mix them, use one here and one there or add them to your already existing eye combos. My favourite way to wear Glossier Lidstars is paired with a neutral blush or bronzer. 1. Apply and blend desired shade of Lidstar all over the lid. 2. Blend your blush or bronzer into the crease and lower lash line. 3. Dab a lighter Lidstar (e.g. Moon) into the inner corner. Having a slightly hooded eye shape myself, I have had the hardest time getting my eye products to stay put without creasing. I have tried just about every eye primer under the sun and none of them have managed to keep my eyeshadow in place like Lidstar does. Although it’s not labeled as an eye primer, it certainly works as one - only prettier! Glossier currently only ships to US, Canada and the UK but fortunately they accept international payments! For us this means order it but not necessarily receive it direct from Glossier. This is where YouShop (for us in NZ) comes in. 1. Sign up and receive a YouShop address. 2. Enter your YouShop address at the Glossier checkout. 3. Receive an email when your order reaches the YouShop warehouse. 4. Pay for post and sit at your door step until your Glossier arrives! Gray is a Freelance Makeup Artist, Contributing Beauty Editor for SAUCE and a Retail Artist at MAC Cosmetics based in Auckland, New Zealand. As an artist, Gray is establishing her self and her signature style at a rapid pace. A unique artistic flare sees her producing quirky, quality works and forecasting trends. Gray has worked creatively alongside other up and coming creatives and brands and her work has been featured on Magic Hollow, Tia Feng and Unique Model Management.